Mackenzie is an Associate Lawyer at MacDonald & Associates LLP, an employment law firm specializing in Canadian employment law for both employers and employees. Mackenzie is passionate about the interplay between human rights and employment issues. She is a keen advocate for her clients, and has assisted in representing clients at the Human Rights Tribunal of Ontario, and the Ontario Superior Court. 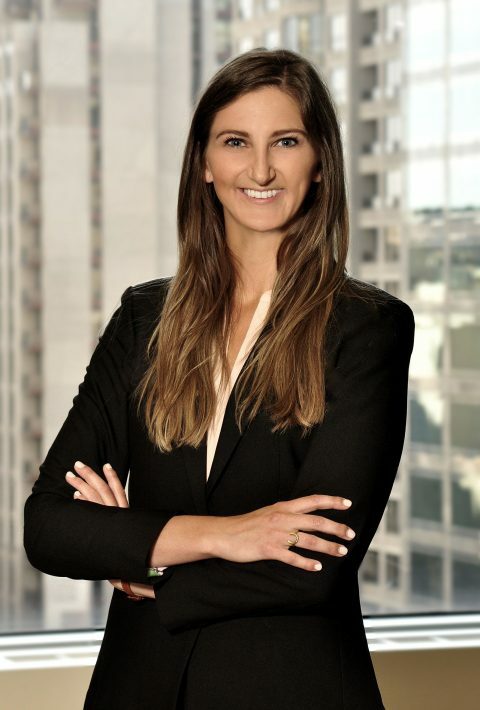 Mackenzie leverages her understanding of human rights issues in the workplace to formulate creative solutions to complex legal problems for both employers and employee. In law school, Mackenzie volunteered for the National Self Represented Litigants Project. Prior to joining MacDonald & Associates LLP, Mackenzie articled in the Toronto office of a global law firm, where she worked primarily on management side employment issues. She assisted in advising employers on a broad range of workplace issues including allegations of human rights discrimination, occupational health and safety, worker’s compensation, accommodation, and employment-related litigation. Mackenzie was a member of the Ontario Alpine Ski Team for six (6) years, competing internationally and on the North American circuit before being recruited to ski NCAA Division 1 at St. Lawrence University. While at St. Lawrence University, she obtained an Honours B.Sc. in Psychology and Sociology and earned the award of Academic All American during all 4 years. Mackenzie remains actively involved in the ski racing community. She currently serves on the Board of the National Ski Academy, and is an avid member of Craigleith Ski Club. Outside the office, Mackenzie is an avid hiker and skier. She loves the mountains and is always looking forward to her next adventure.